In this patient we found several broken teeth and many with large fillings. The rest were either discolored, misshapen, or susceptible to breakage. 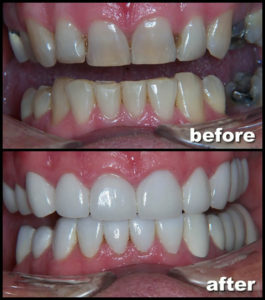 Treatment for this patient included beautiful porcelain crowns for individual teeth in both arches. 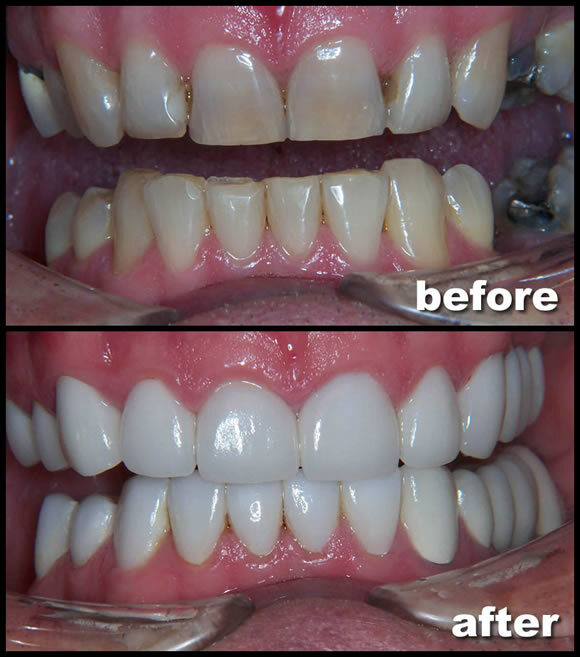 We also replaced missing teeth with porcelain bridges. He now enjoys an amazingly beautiful smile, and his teeth are protected from fractures. He is able to chew so much better after replacing five of his permanent back teeth.